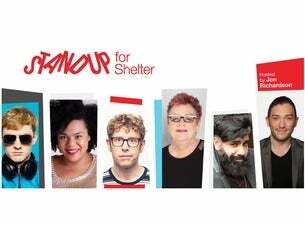 The one-off charity comedy gig Stand Up for Shelter will be held at O2 Shepherd’s Bush Empire on 21 March 2019. The line-up includes John Bishop, James Acaster, Jo Brand, Josh Widdecombe, with Jon Richardson hosting. More names are still to be announced. The gig will bring together some of the biggest names in UK comedy to raise money to support the charity’s work to end homelessness and bad housing. There are now 131,000 children in Britain who are homeless, which is the highest number in over a decade. "No family, and especially no child, should have to face homelessness," said Bishop. "We’re going to put on a great night of comedy, and I hope people will come along and be generous in support such an important cause."